Our Carrot Seed Essential Oil is not hydro distilled. It is fresh steam distillation. This recent French harvest has a mild sweet top note, earthy and root-like body notes and woody-herbal low notes. As a baseline, Dr. Steffen Arctander describes lower notes as fatty-oily and spicy. In nature the oil contains significant amounts of terpenes; especially monoterpenes. However, these do not determine the unique carrot seed aroma. European perfumers use it with chypres, citrus, costus, cassie, mimosa, fougeres, geranium, ionones and methyliones, and cedarwood derivatives. Oriental perfumes and fantasy blends contain small quantities of carrot seed oil. Aromatherapy use is primarily for skin tone, scars, and acne. Carrot seed blends well with Citrus, Fennel, Frankincense, and Geranium. The health benefits of Carrot Seed Essential Oil can be attributed to its properties like anti septic, disinfectant, detoxifier, anti oxidant, anti carcinogenic, carminative, depurative, diuretic, emenagogue, stimulant, cytophylactic, tonic, Vermifuge etc. Carrot Seed essential oils, as the name suggests, are extracted by steam distillation, primarily from the dried seeds and secondarily from the dried plant itself, of Wild Carrot, scientifically named as Daucus Carota. 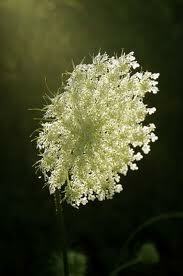 Wild Carrot is common in Europe and is also known by another name “Queen Anne’s Lace” there. Apart from the components like Alpha Pinene, Beta Pinene, Gamma Terpinene, Limonene, Camphene, Sabinene, Myrcene, Beta Bisabolene, Carotol and Geranyl Acetate, Carrot Seed oil is rich in Carotene and Vitamin-A, both of which are blessings for eyes and effective anti oxidants. Let's check out its medicinal properties and healthy aspects. * Anti Oxidant: This Carrot Seed essential oil can help you retain your youth and look refreshingly young when your friends start balding and growing wrinkles on all over their faces. Actually anti oxidants in it repair all the damages done to your tissues by the oxidants (free radicals) and stop them from doing further harm. These anti oxidants do not let your skin go wrinkled, your hair white, joints go immovable, your muscles go loose and your eyes lose eyesight. Anti oxidants can work other miracles too. They can protect you from Macular Degeneration, sexual weakness, weak digestion, some forms of cancer and other problems related to aging. * Anti Septic, Anti Viral & Disinfectant: It can cure infections, protect from them and has anti septic properties, that is, it can prevent tetanus. Externally applied, Carrot Seed Oil can cure infections on skin and in wounds and even protect from new infections. Internally taken, it effectively helps cure infections of throat, mouth, colon, stomach, intestines and urinary system. It is miraculously effective in curing sores, gangrene, psoriasis, ulcers, rashes, carbuncles and such problems. It can even cure viral infection of the whole respiratory system, thus benefiting in bronchitis. It is effective in fighting other viral infections such as in case of flu, mumps, cough and cold, measles etc. * Detoxifier: Carrot Seed Oil has ability to detoxify the blood, tissues, muscles and internal organs like liver and kidneys. It can neutralize excess bile secreted from liver and can help cure infection of liver in cases of jaundice. It removes accumulation of toxins like uric acid from the blood, tissues, muscles and joints, thereby helping cure edema, arthritis, gout, rheumatism etc. * Carcinogenic: Recent studies have shown the Carrot Seed oil is beneficial in curing some forms of cancer too, especially those of mouth, throat, stomach, prostrate, kidneys etc. These anti carcinogenic properties can be attributed partly to its anti oxidant properties, and partly to the other medicinal properties of its components. * Carminative: Afraid? Think that you have almost become a balloon? Think that gas in there can lift you up and make you float any moment? If yes? The Carrot Seed oil can keep you glued to the ground. How? It will just remove the gases from the intestines. You will feel so relaxed and so light that you will think that you can really fly now. * Depurative: Carrot Seed oil can purify all the organic systems inside our body, particularly the circulatory, digestive and the excretory systems. It removes toxins like uric acid, urea, insecticides, pesticides and other chemicals which get into our body with our food and water and help restore their health. * Diuretic: Carrot Seed oil is diuretic in nature. It increases urination. It may seem that there is no apparent benefit of this property, but you will be surprised to see that urination alone can keep you safe from many ailments. Each time you urinate, some fat (almost 4% of the volume of water), a lot of toxic substances (uric acid, bile, poisonous stuffs etc.) and microbes causing infections in the urinary system and otherwise, are removed from the body with urine. Then it reduces blood pressure and cleans the kidneys. It is also helpful in clearing renal calculi. * Emenagogue: Emenagogue is a property which makes menstruation easier, less painful and regular. This particularly helps when somebody is suffering from irregular and obstructed menses. * Stimulant: We all know the meaning of stimulant. Carrot Seed oil is also a stimulant. It stimulates circulation and metabolism. It also stimulates secretion of hormones, enzymes, gastric juices, bile and the peristaltic motion of the intestines, thus keeping all the organic systems active. It also stimulates brain functions and nerves, thus making you more alert and active. * Cytophylactic: It stimulates the growth of new cells and tissues. * Tonic: One which tones is a tonic, and so is Carrot Seed Oil. It tones up tissues and muscles and increases their efficiencies; it tones liver, stomach and the whole digestive system, regulates flow of digestive juices and brings the digestive system to order; it tones skin and prevents it from hanging loose. * Vermifuge: Carrot Seed oil can kill. No! Not you! I mean the worms in your intestines. It may help children get rid of this annoying problem. * Other Benefits: It is widely used in aromatherapy due to its mild and soothing earthy aroma which is very effective in relieving stress and anxiety and gives a refreshing feeling. It is good on skin and protects it from wrinkles. It also relieves muscle aches, cures anorexia, enhances production of erythrocytes and improves eye sight, brightness etc. Few Words of Caution: Otherwise no threat. Pregnant ladies should avoid. Blending: Although blending is conditional and there are different blends for different purposes, Carrot Seed Oil goes well with Bergamot, Juniper, Lavender, Lemon, Lime, Orange, Avocado, Cedar Wood and Geranium oil.